Socialize is an organization dedicated to understanding and utilizing social innovation community. Socialize provides frameworks for knowledge sharing on the opportunities for society in a social technological enhanced world. The specific challenge of this community is to stimulate and support the establishment of a 'Social Innovation Community' of startups, researchers, social innovators, end users (citizens) and policy-makers in the area of social innovation involving research and “hands on” innovation. To better link research to practice, develop joint methods and concepts in the area of social innovation research and provide a common space for gathering evidence and identifying new areas for social innovation take up in various fields. It is open, independent and vendor-neutral. Since 2012, Socialize chapters have been meeting offline at physical monthly events – In Israel and Silicon Valley. 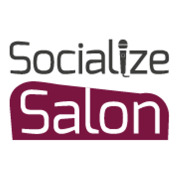 Socialize Salon hang out monthly events structured as a platform for entrepreneurs, researchers, policy makers and others the opportunity to give lectures on about their research, services and products related to Social Business and Tech for Impact era. +1657 members in Socialize Israel community are actively participating in our forums, events, seminars and business networking. It is also a great place to meet excellent people. 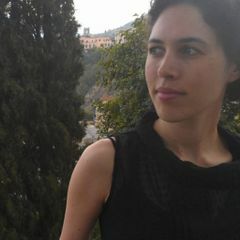 Through our events, we help promote social innovation initiatives, increase relevance of policies and actions, and contribute to the development of a common understanding of the necessary framework conditions and related socio-economic implications of social innovation policies, activities and initiatives in Israel and beyond. Socialize Silicon Valley is the first Spinoff of our pendant organization in Israel, structured to give entrepreneurs the opportunity to give lectures on about their services in related to the Social layer of business/technology in the California Valley.